David Platt serves as pastor at McLean Bible Church in Washington, D.C. He is the founder and president of Radical, a resource ministry that serves churches in accomplishing the mission of Christ. Resources from David Platt and Radical can be found at radical.net. 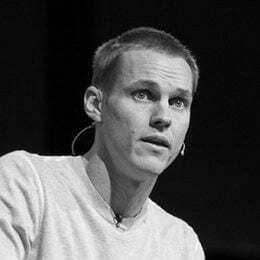 Books by David Platt include Radical, Radical Together, Follow Me,and Counter Culture, as well as the following volumes in the Christ-Centered Exposition Commentary series: Exalting Jesus in Matthew, Exalting Jesus in James, Exalting Jesus in 1 & 2 Timothy and Titus, and Exalting Jesus in Galatians. David Platt received his Ph.D. from New Orleans Baptist Theological Seminary. Along with his wife and four children, he lives in the Washington D.C. metro area.